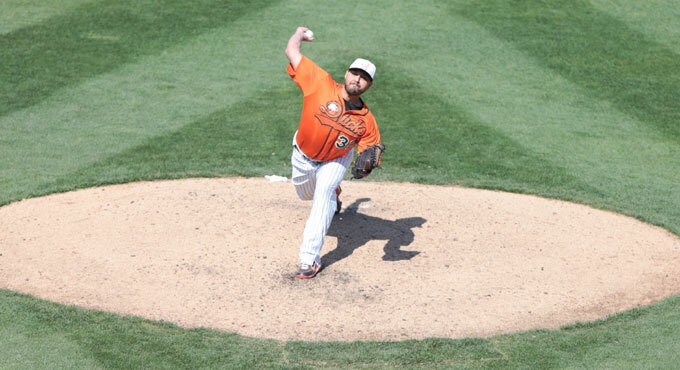 (Central Islip, N.Y., May 10, 2015) – The three-time Atlantic League champion Long Island Ducks today announced that right-handed pitcher Hector Ambriz has been signed by the Washington Nationals organization. He will report to the team’s Double-A affiliate in Harrisburg, Pennsylvania and is the Ducks’ Atlantic League leading third player signed by a Major League Baseball organization in the season’s first month. He also becomes the 75th Ducks player signed by MLB all-time. Ambriz appeared in seven games out of the bullpen for the Ducks. He picked up his first win on Friday in Long Island’s come-from-behind waddle-off victory over the Barnstormers and compiled a 1.28 ERA. In seven innings of work, the righty gave up just two runs (one earned) on five hits and one walk while striking out nine batters. He collected at least one strikeout in all but one appearance. The former Major Leaguer has played four seasons at the game’s highest level with the Cleveland Indians (2010), Houston Astros (2012-13) and San Diego Padres (2014). In 96 career games, he has 87 strikeouts over 106 innings and two saves. The California native has also spent time in the Arizona Diamondbacks organization, reaching as high as Triple-A in 2009. The former UCLA Bruin was originally drafted by the Diamondbacks in the fifth round of the 2006 amateur draft.